Decided to take a year out but now left asking yourself “what can I do in my gap year”? No worries! If you have a rough idea what you would like to do, then check out our gap year programmes – it may be that we have something for you. Alternatively, we have put together a list of 5 things to do in a gap year that we hope will help you with your decision. Lots of people choose to take their gap year immediately following school or university. This is a good time to earn a little bit of dollar if you are strapped for cash, saddled with Uni debt or just looking to save for future travels or studies. The idea of stacking shelves at your local supermarket might not be particularly appealing, but bear in mind that your gap year is yours to do with as you like. You could split time between working and travelling. Or why not combine the two and work abroad? One of the most popular things to do in a gap year, travelling really will broaden your mind. From the jungles of South America to the beaches of Asia, the ancients cities of Europe to the grasslands of Africa – there's a big world out there and what better time to explore it. 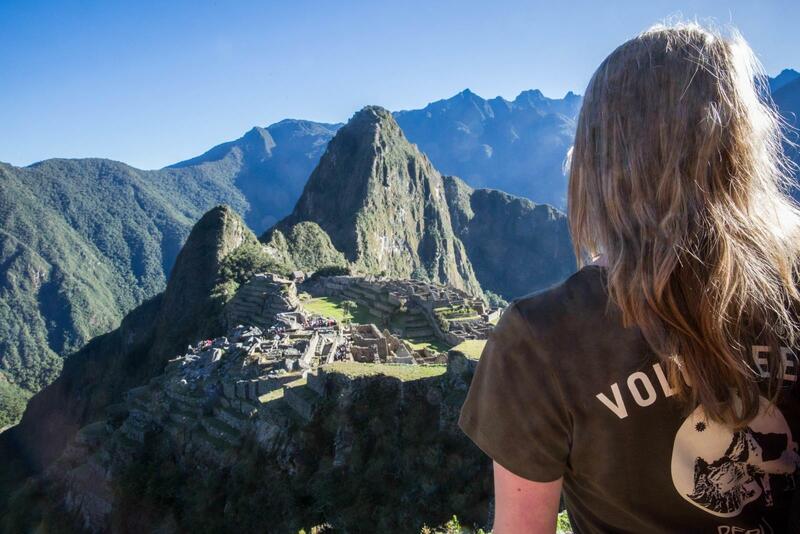 Worthwhile and rewarding, volunteering is definitely something to consider when planning your gap year. Whether you choose to volunteer at home or abroad, it may just be the best decision you make. Of course we believe we offer the best voluntary projects around, but don't just take our word for it. Do your research and make sure you choose a placement that you are passionate about. Why learn a language? Well why not? Especially if travelling features highly on your list of things to do on a gap year. The ability to speak a little Español at a bus station in Bolivia or a few words of Français at a local market in Senegal will help you no end. It doesn't look too bad on the CV either. Learning a major international language such as Mandarin and Arabic will be of huge benefit to those thinking of entering the business world. For more information, take a look at the language courses we offer. For university hopefuls and those looking to improve their job prospects, a gap year could be the perfect time to get that all important work experience. From a fashion internship in London to shadowing a doctor in a Tanzanian hospital – work experience will help you stand out from the crowd. There is no right or wrong way to spend your gap year, but bear in mind that future employers are likely to question how you spent your time. Voluntary work, knowledge of a second language, travel and work experience are all valuable additions to a CV.